ON THE BALL: Bolt is set to continue his football journey with the Australian club. “WE welcome Usain with open arms, and we will always remain grounded and focused on the job at hand.” So says Shaun Mielekamp, CEO of Australian football club Central Coast Mariners, who have agreed to let the sprinting legend train with the club for an indefinite period, with the aim of transforming him into a professional soccer player. 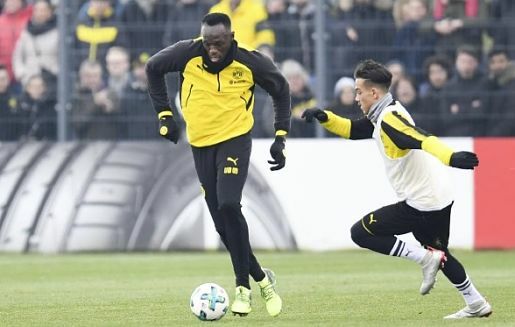 According to the club, this arrangement does not guarantee a playing contract for Bolt, but it’s a step toward fulfilling his ambition of playing football at the highest level. And it’s a win-win, as Central Coast Mariners seem set to boost their profile nationally and internationally. Bolt, who has already trained with such noted clubs as Germany’s Borussia Dortmund, Mamelodi Sundowns FC in South Africa and the Norwegian side Stromsgodset, is scheduled to join up with Central Coast later this month.